The price is $150 plus shipping, and the kit is brand new in the box from the 80's. The kit is made for a carbureted RWD car. If you have a FWD car and need the extra sensor kit, I'll include one for an additional $5. I don't have any of the fuel injection interfaces, but from what I've read, they're not hard to build. 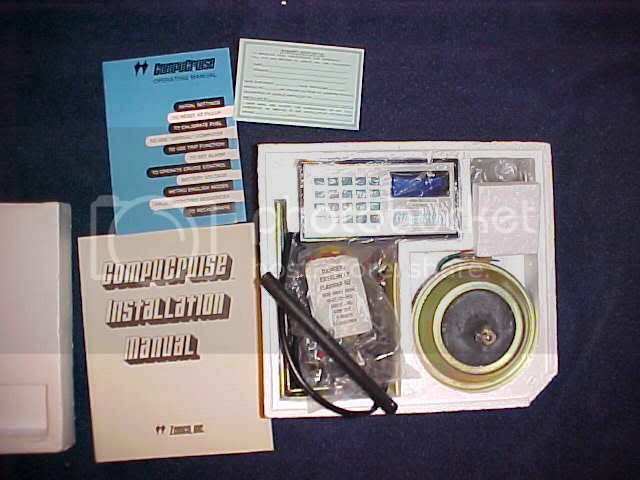 This was one of the best aftermarket trip computers ever built, and they're getting about impossible to find brand new in the box. Last edited by clbolt; 10-02-2008 at 07:42 PM.. I have one of the older versions before they had cruise. I have replaced a few things over the years and still have it installed on a rabbit diesel to this day. I found that a modern cam/crank position sensor works well to pickup the six bolts that hold on my front drive shaft. The recirculating ball has been replaced with a .12 gram competition plastic BB. And the light source in the flow meter has been replaced with a white LED. Those are the only things that I have replaced in almost 30 years. I'm going to install mine with a speed pulse generator in a two-piece speedometer cable. I'm also using a vacuum servo and the relays from an A-R-A cruise that was made specifically for my car. That setup will allow me to mount the servo under the dash to work directly on an arm bolted to the top of the accelerator pedal. The only part mounted under the hood will be the two relays and their bracket. I need all the room I can free up to mount the tank for my Waag-Injection kit. Not without an interface box for the fuel injection, and they're impossible to find. I know a guy who has the schematic if you want to build the interface. It is probable that you have what I want. A trip computer for carburated engines. However, I need it for a diesel engine, year 1995, non electronic. Then, I need the extra sensor. However, before purchasing it, I need more info, as to ensure it will serve my purposes. For instance: will the fuel flow sensor work? Are are they designed to deal with fuel flow sensing? As described, this is designed for a carbureted engine, and diesels don't use carburetors. Any adaptation work that this would require would be at your own risk. I've listed everything I know about this unit. I understood that you said for a front wheel drive car the Zemco will need an extra sensor. What I need to know is how the Zemco 44 TC connects to a carburated engine. If you can scan the connections diagram, I will know if I take the risk or not. At last, "a carburated engine" means a non-injected engine, that is, the fuel flow sensors are not attached to injectors. That is exactly what I need: to sense the fuel flow somewhere else. It probably uses mechanic flow sensor, and that is what I need. If you do not want to send me more info about the Zemco 44, then please tell me about the fuel flow sensors it uses, and where can I get them. Just give me the brand and model. Of course a picture will be a useful complement. Thank you in advance for sharing that info with me.